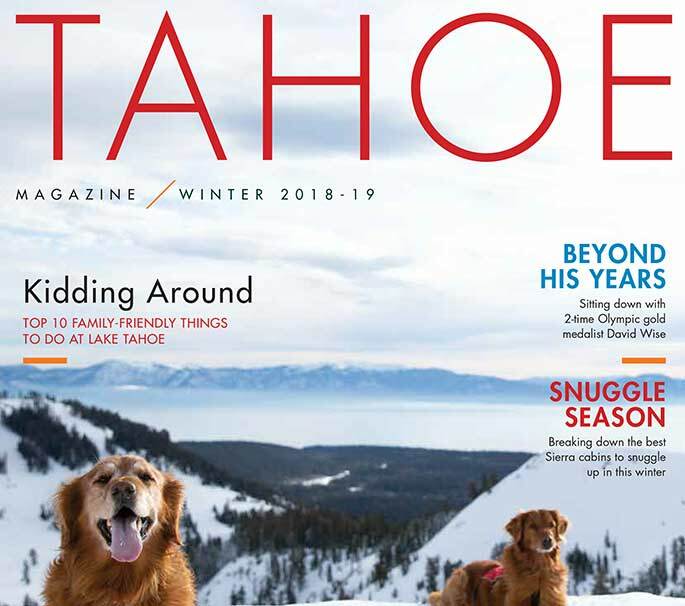 All told, the greater Truckee-Tahoe region is loaded with winter activities, highlighted by a bevy of downhill and cross-country ski resorts — 14 total for the former, and another 11 for the latter). Below is a quick-hit list of each of those 25 ski areas. Enjoy! Boreal, located 15 minutes west of Truckee off Interstate 80, boasts discounted packages and terrific terrain parks. Always the first resort in the area to open, Boreal is also home to Woodward Tahoe — the Sierra’s best action sports facility is located steps away from the slopes. 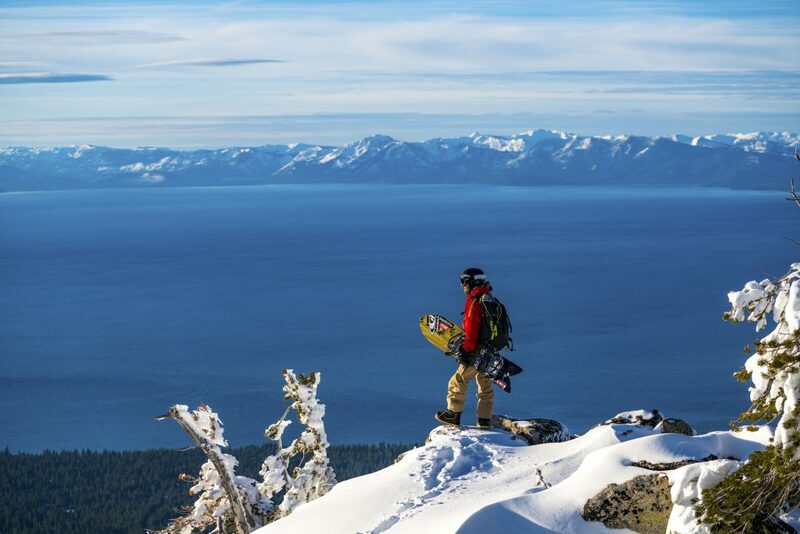 This affordable, family-friendly resort on the North Shore offers breathtaking views of Lake Tahoe, a summit elevation of 8,540 feet and 655 acres of terrain featuring 30 trails spanning in difficulty form beginner to advanced. Diamond Peak is also home to the world-renowned Last Tracks wine events. Among the oldest and most iconic ski areas in the Western U.S., Donner Ski Ranch, located at Donner Summit just west of Truckee, is a family-friendly resort that features a wide variety of terrain, inviting skiers and riders of all abilities to enjoy the fully-featured mountain oasis. Granlibakken features an intimate hill, perfect for beginning through intermediate skiers and snowboarders. It’s a place to avoid the crowds, participate in ski school and have a snack afterwards. Granlibakken also offers terrain perfect for Nordic skiing and snowshoeing. There’s a reason Heavenly, which straddles the CA/NV state line, holds the non-existent title for most first chairs missed and has been dubbed the “wild child” of Vail Resorts. Every aspect of the ski area exudes that high-energy vibe. Plus, you can easily trade in your ski boots for dance shoes here. Known for its extreme beauty, Homewood offers incomparable views of Lake Tahoe from each of its gladed runs, groomed slopes, powder bowls and snow cat-accessed terrain. Located on Tahoe’s West Shore, the resort offers a variety of lessons, from beginner to advanced. Since 1972, Kirkwood has provided some of North America’s fiercest in-bounds terrain that challenges skiers and riders from first chair to last. The 2,300-acre ski area located 45 minutes south of South Lake Tahoe boasts an annual average snowfall of 600 inches and offers plenty of powder days. Mt. Rose is located minutes away from both South Reno and Incline Village. It boasts over 1,200 acres of terrain and 1,800 vertical feet, including the 200-plus-acre Chutes. Two six-passenger, high-speed chairlifts offer quick travel to the top of the mountain and panoramic views of the lake. 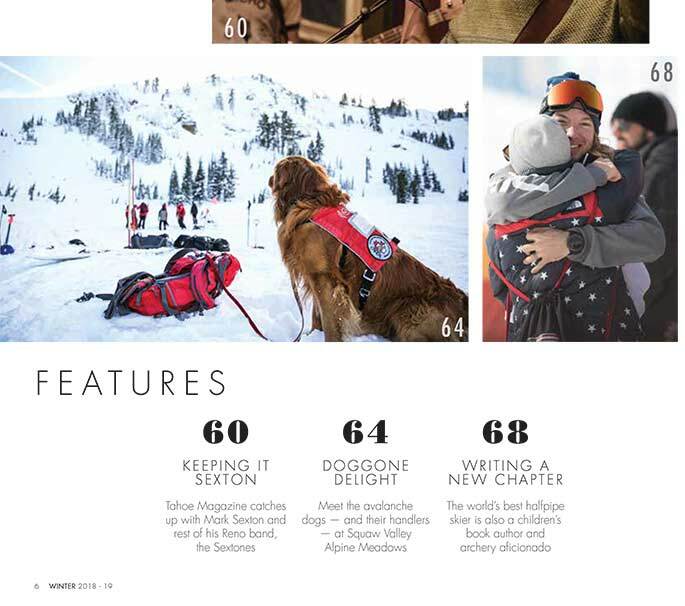 Northstar combines high-end luxury, on-mountain exhilaration and a sophisticated alpine village atmosphere to redefine what “California cool” is all about. With capital investments surpassing $30 million in recent years, this resort located a few minutes from Kings Beach is also perfect for beginners. With wind-protected slopes, incredible tree skiing and 320 acres of backcountry terrain, Sierra At Tahoe — located a half hour south of South Lake Tahoe — offers an authentic California ski experience. More than 100 acres of learning terrain is available for beginner skiers and riders, along with innovative terrain parks. As the longest-running ski resort in California, Soda Springs is secluded in picturesque pines and conveniently located off Interstate 80 just west of Truckee. Its relaxed atmosphere is ideal for families and beginners. Other snow playground amenities include tubing, learning areas and more. Known for legendary skiing and gorgeous views of Lake Tahoe, Squaw Valley Alpine Meadows is a known jewel of the region. From incredible tree skiing on a powder day to perfectly buffed corduroy on a crisp winter morning, these ski areas are home to some of North America’s finest terrain. After a day on the slopes, locals and visitors should check out lively bars and restaurants in The Village at Squaw Valley. Often boasting the most snow in the Tahoe-Truckee region, Sugar Bowl offers 103 trails and 1,700 skiable acres at its location on Donner Summit. With rolling groomers and steep, challenging chutes, there is terrain available for every skill level. Sugar Bowl’s open boundary policy also delivers unrivaled backcountry access. Tahoe Donner Downhill is committed to family fun and learning at Lake Tahoe, aiming to be the best place to “begin.” It offers ski instruction for children as young as 3 years old, interchangeable lift tickets for parents with non-skiing children, family-oriented events and a kids-friendly cafeteria menu. Auburn Ski Club is a nonprofit winter-sports facility dependent on membership support. Members have access to world-class facilities and programs during the season. Cost is $40 per person and does not include XC trail pass. Bijou Cross Country offers an informal, 4-kilometer marked trail across Bijou Community Park in South Lake Tahoe. No trail fee; no rental equipment or lessons are available. 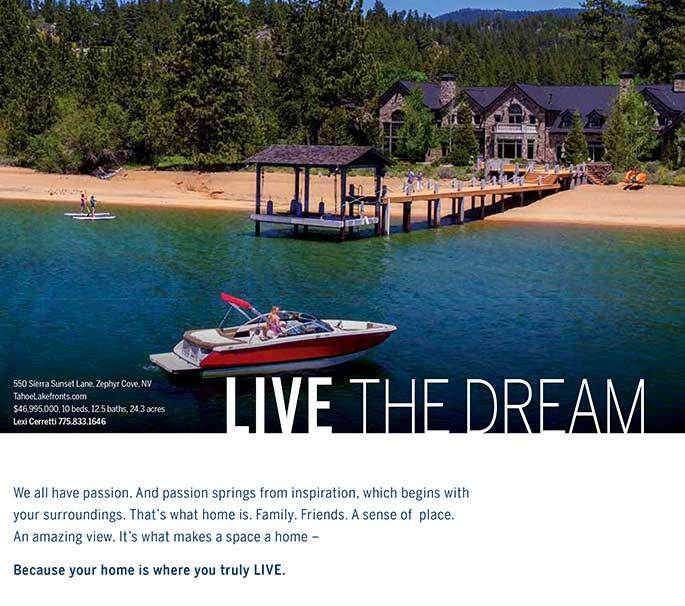 Camp Richardson, located in the heart of South Lake Tahoe, offers 10 kilometers of skier-packed trails along Lake Tahoe’s shore, or winding through giant Jeffrey pines and over gentle hills on its groomed track. Hope Valley, located a half hour south of South Lake Tahoe, offers 60 miles of trails, 10 groomed, in meadow and forest. Staff escorts guests on Full Moon Tours, Wildlife Tours and Backcountry Skills Seminars. No trail fees are charged; but donations are relied upon. Aside from its status as a world-class downhill ski resort, Kirkwood offers 24 cross-country trails and 70 kilometers of groomed track. Access to Northstar’s Nordic center — offering cross-country, telemark, snowshoe and fat bikes — is located at mid-mountain near the Vista Express Quad chairlift. Equipment is also available for rental at the mid-mountain center. Tahoe XC, as its known locally, provides ski instruction, kids programs and more. Its 65-kilometer trail system is groomed daily, with 21 separate trails spanning Ponderosa pine and white fir forests, and open meadows. More than 100 kilometers of trails meanders through meadows and forests, showcasing incredible views of the Sierra Crest. USA Today also voted Tahoe Donner as one of the top three cross-country ski areas in North America. Resort at Squaw Creek offers 18 kilometers of groomed Nordic trails spanning beginner to expert, winding through meadows and trees. The Nordic Center supplies both ski and snowshoe rentals, along with daily group and private lessons. Activities at Royal Gorge include cross-country skiing, snowshoeing and snow kiting. With eight district trail systems, there is something for classic striders, XC skaters and snowshoers interested in scenic views. Nine warming huts span 6,000 acres of land. Lessons and rentals are available. This state park, located on Tahoe’s West Shore, features open meadows and stream paths on four trails and 20 kilometers.